New Yorkers with disabilities can now save through a new plan called The New York Achieving a Better Life Experience (NY ABLE) program. The NY ABLE program helps individuals with disabilities maintain their health, independence and quality of life. The program was modeled after New York’s 529 College Savings Program and adopted under the federal Stephen Beck Jr. Achieving a Better Life Act of 2014. NY ABLE allows New Yorkers to save and invest funds without putting their disability-related benefits at risk and should provide some relief for families worried about the long-term financial situation and future care of their loved ones with disabilities. Also known as 529A accounts, these tax-free savings programs give people the opportunity to set aside money for short- and long-term needs. New York is one of several states to offer this type of program. The NY ABLE legislation was signed into law in 2015. 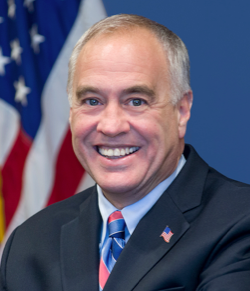 The legislation authorized the Office of the State Comptroller to administer the program. Until now, families could create a special needs trust in order to secure a loved one’s finances, but trusts can be costly to establish and maintain. NY ABLE allows New Yorkers with disabilities to save money in their own names without risking their Supplemental Security Income (SSI) and Medicaid and certain other means-based benefits. ABLE programs are intended to supplement other governmental and private benefits, including SSI and Medicaid. An account can be opened with as little as $25. Families and others may contribute to an account, but contributions are not tax-deductible. The annual contribution is capped at $14,000 and the maximum account balance is $100,000. In 2018, the annual contribution cap will be increased to $15,000. NY ABLE provides a variety of investment options, from conservative to aggressive. Earnings and distributions from NY ABLE accounts are tax free provided the funds are used for qualified disability expenses. These include costs for education, health and wellness, transportation and housing, among other expenses. Users can access funds in several ways, including an optional checking account and debit card. Earnings on non-qualified withdrawals may be subject to federal and state and local income tax and a ten percent federal tax penalty. In order to qualify, a person must have a disability that was present before he or she turned 26 years of age. Participants must be eligible for SSI or Social Security Disability Insurance (SSDI) or be blind, have a significant disability documented by a medical doctor or have a disability that is included within the Social Security Administration’s requirements. New York State residency is also required and only one account per individual is allowed. Many New Yorkers will benefit from this program. The Comptroller’s Office is committed to helping families and individuals enroll in NYABLE. To start an account, visit www.mynyable.orgor call 1-855-5NY-ABLE, 855-569-2253.